Hanover, 3 May 2016. Premium tires from Continental not only deliver high mileage and reliable braking characteristics – they are also genuine fuel-savers. This is demonstrated by the recently concluded "Beat the Best" competition, in which participants were able to test the economic efficiency of third-generation Continental tires in comparison with other premium brands. The results speak for themselves: Over a period of six months, the winner from Germany saved 3.85 litres of fuel over 100 kilometres. In the same time period, the first-place winner from the Czech Republic achieved fuel savings of 2.55 litres. A total of 40 transport companies from three European countries took the opportunity to test the fuel efficiency of Continental's premium tires in their own fleets. The aim of the biannual "Beat the Best" competition is to achieve the greatest possible fuel-saving potential using Continental tires from the new generation. The certificate is presented to the first-placed company from Germany, Vendel. From left to right: Michael Vendel, Herbert Vendel, Timo Röbbel. 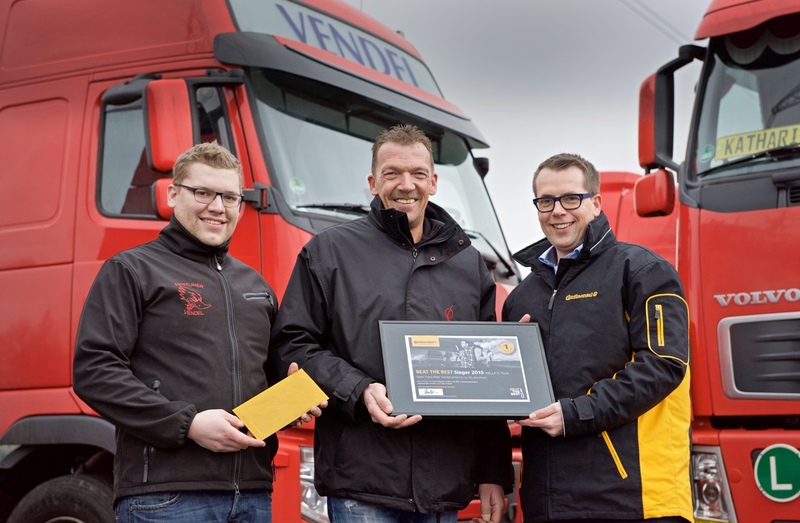 In Germany, the transport company Franz-Peter Vendel GmbH & Co. KG is currently the reigning champion of the competition, with its driver Johannes Jeub saving 3.85 litres of fuel over 100 kilometres on Continental tires. In second place is driver Thomas Moser from the transport company Gotthold Haller Spedition, who achieved fuel savings of 2.30 litres. 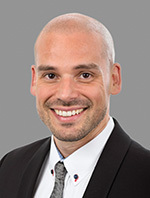 The third-placed driver, Thomas Stohrer, also comes from Haller. He achieved fuel savings of 2.16 litres over 100 kilometres. The winner in the Czech Republic and Slovakia is Petr Němeček, a driver for the Czech transport company Zlíntrans, who saved 2.55 litres of fuel over 100 kilometres using Continental tires. Closely behind Němeček is second-placed Zdenek Lousek from the Czech transport company Roline, who saved 2.42 litres of fuel. In third place is Jozef Molobicky, a driver from the Slovakian transport company Comextrans, who saved 2.30 litres of fuel over 100 kilometres. 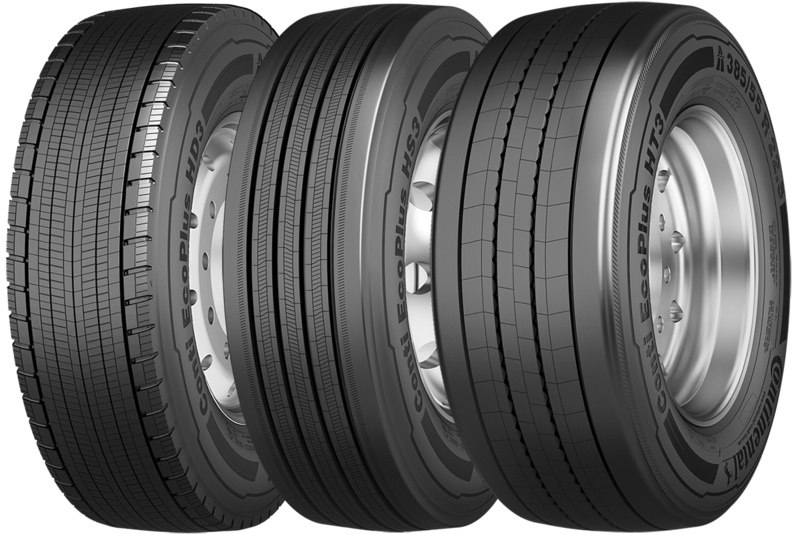 The Conti EcoPlus tire range impresses with its high fuel saving potential. The "Beat the Best" fuel-saving competition was launched by Continental in 2008 and involves several stages. First, the driver or fleet manager from the participating transport company documents fuel consumption over a period of six months, using the tires already fitted on the vehicle. After the tires have been replaced with new Continental tires from the third generation, the company monitors fuel consumption for another six months and the figures are compared with those previously recorded. At 2.55 and 3.85 litres of diesel saved per vehicle over 100 kilometres and an annual distance covered of 120,000 kilometres, the winning transport companies achieved savings of around €3,000 to €5,000 per truck trailer. The basis for this calculation is the diesel price of approximately €0.92 in the Czech Republic and €1.10 in Germany applicable at the time of the competition.